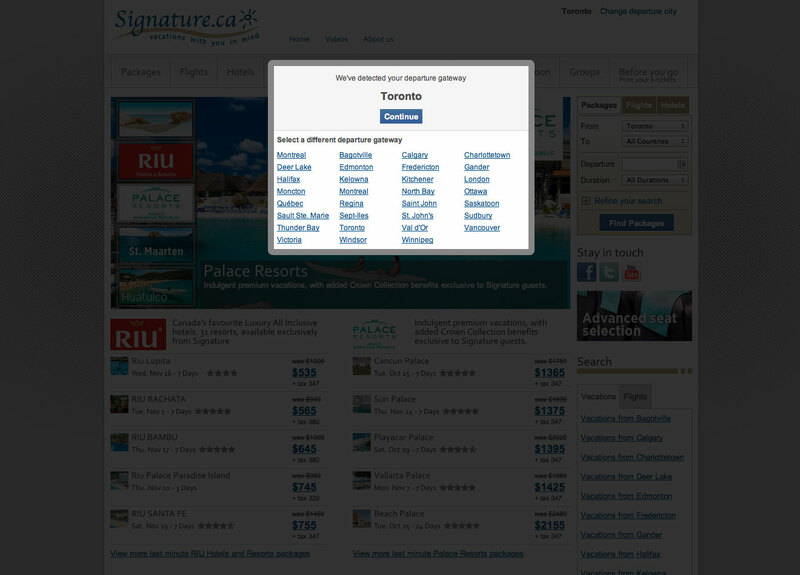 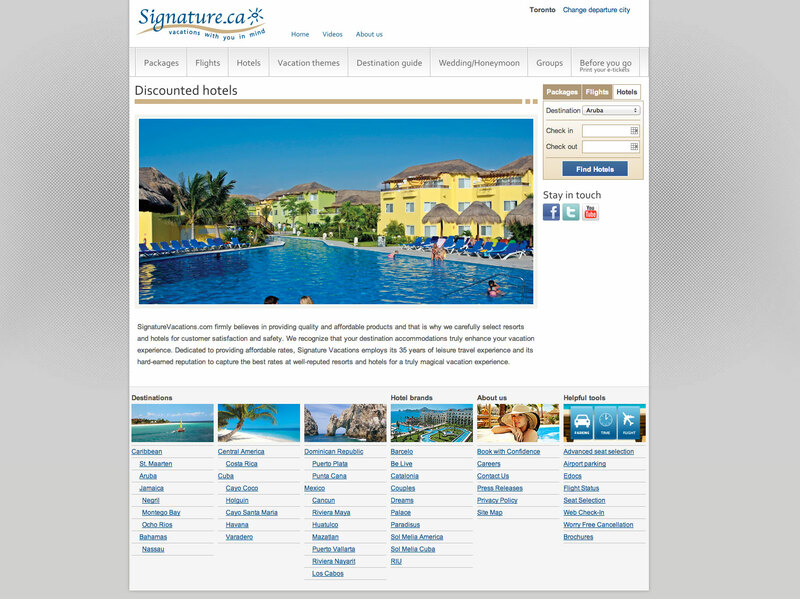 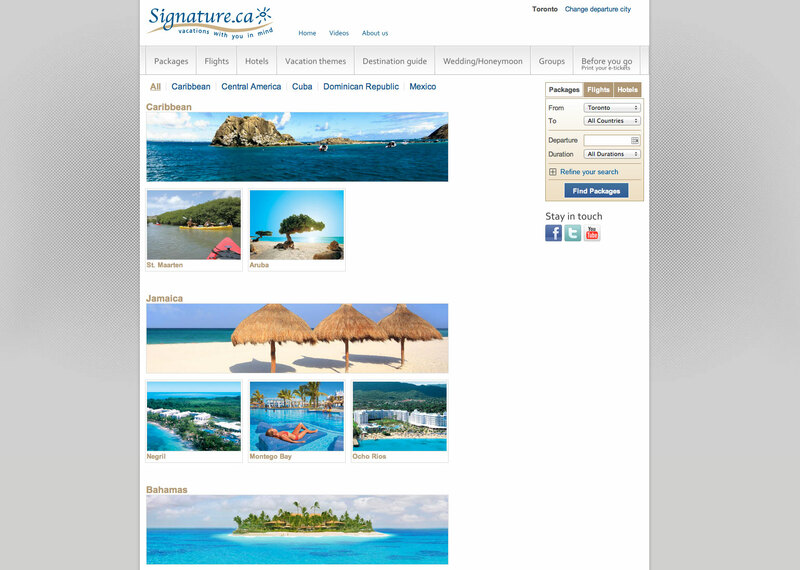 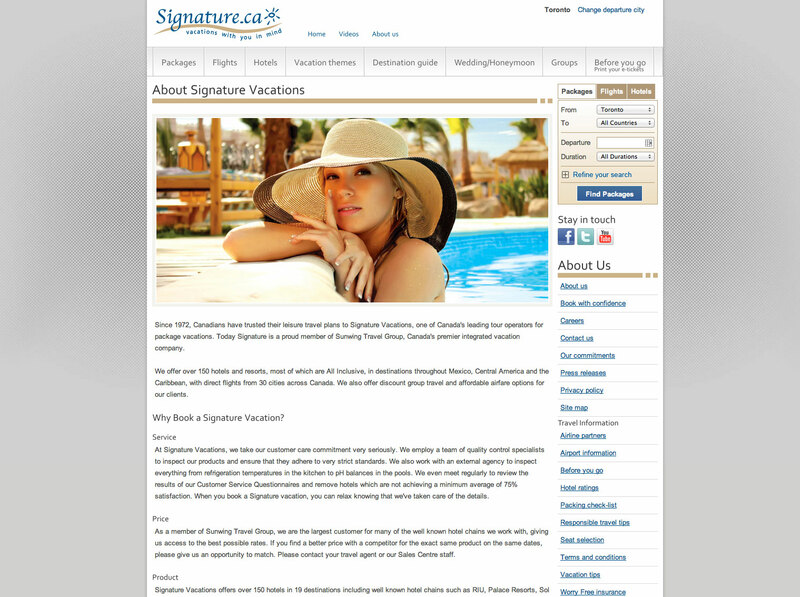 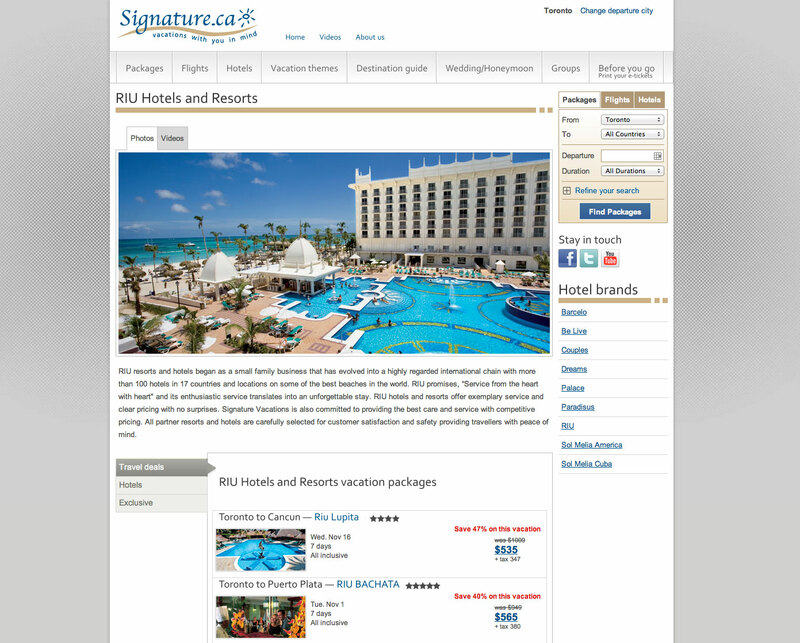 Complete website design and front end development for Signature Vacations(currently working fulltime web designer at Signature Vacations and Sunwing Travel Group). 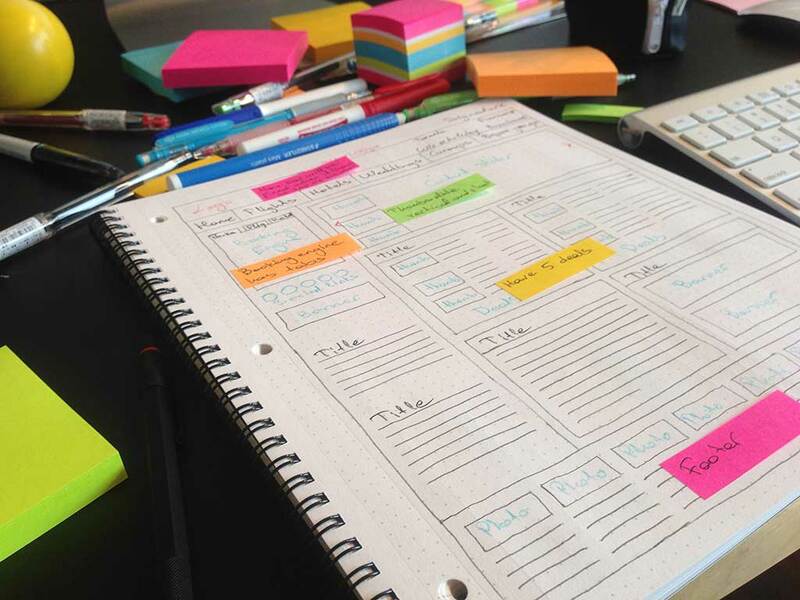 It is very clean, light, sharp. 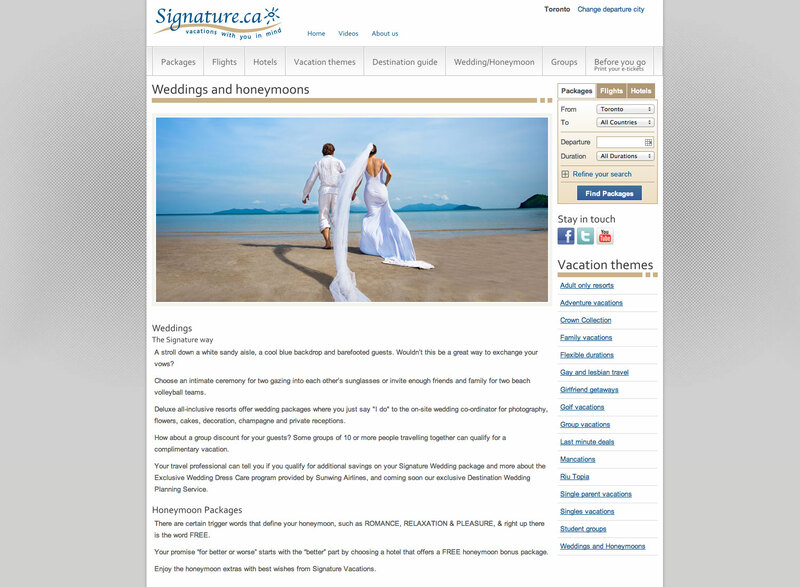 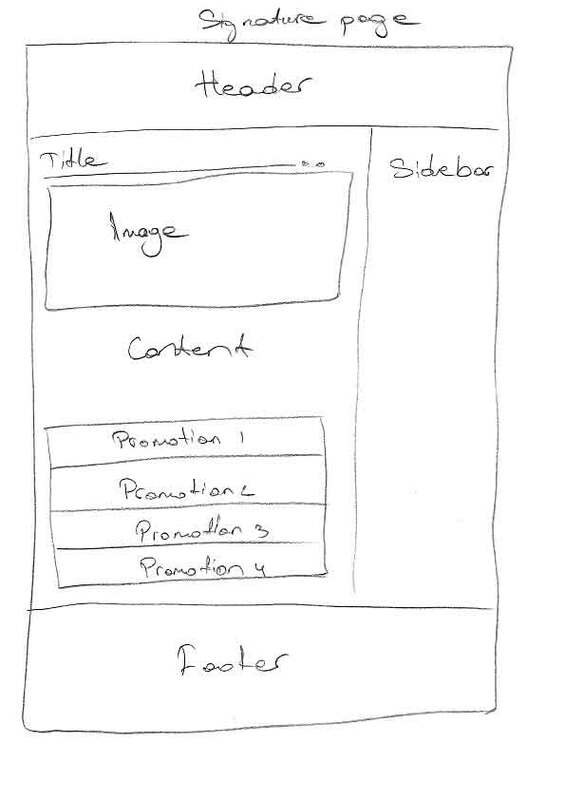 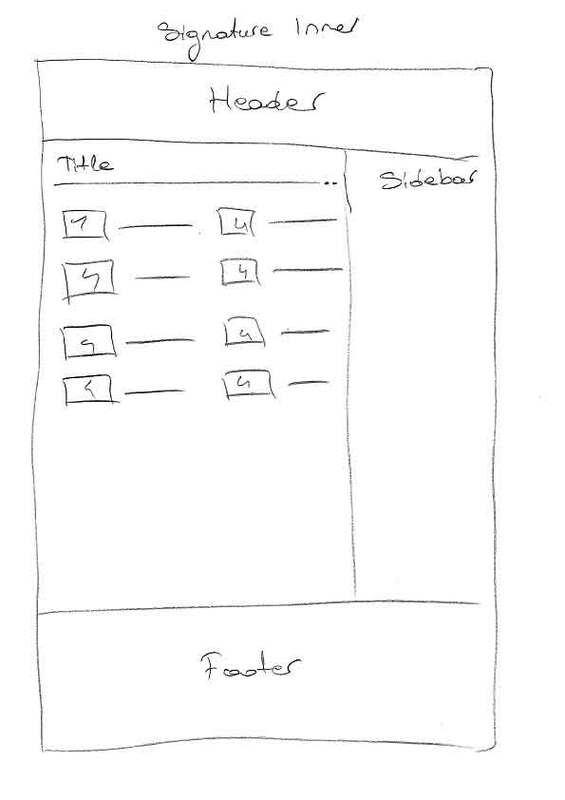 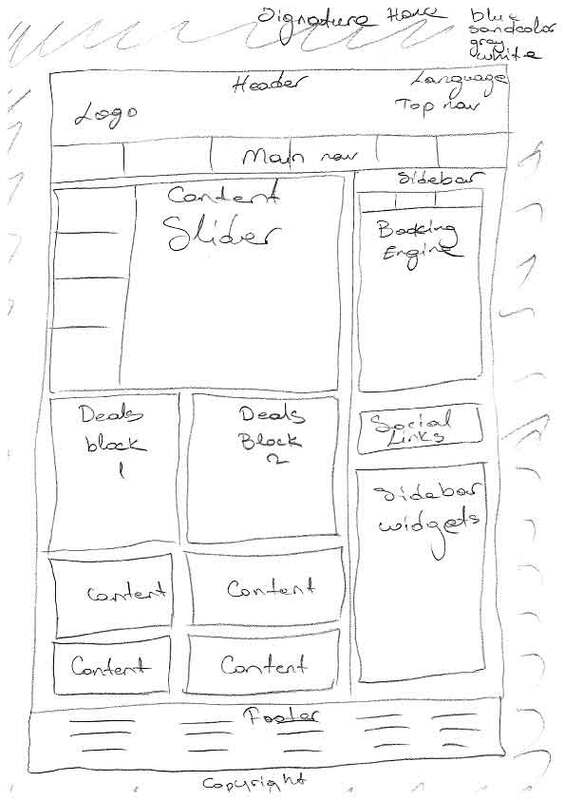 jQuery, CSS3 and HTML5 powered. 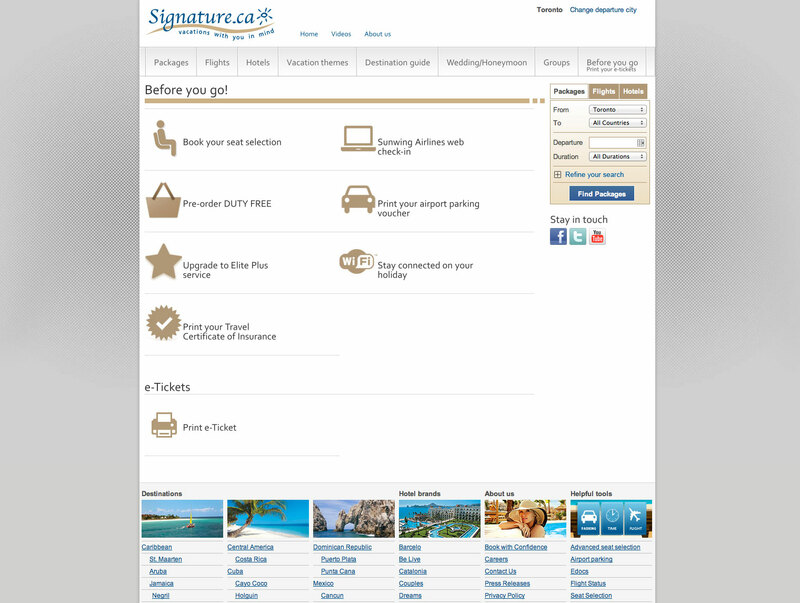 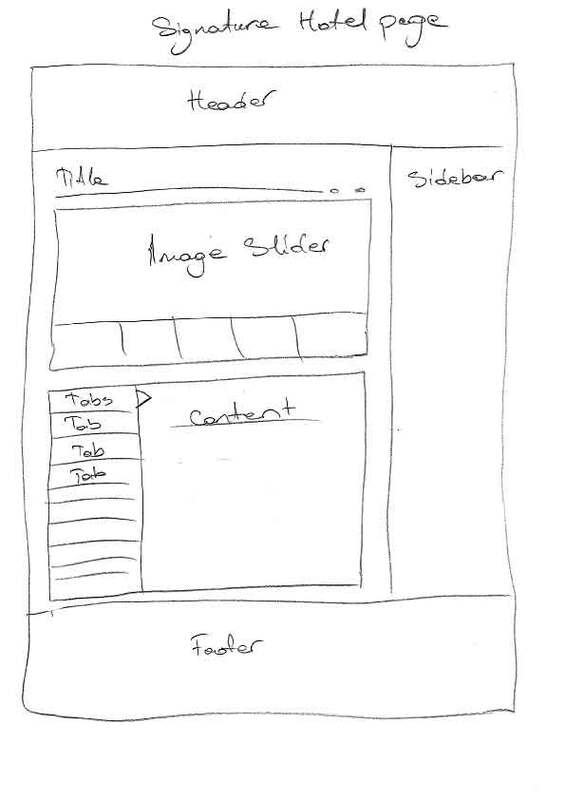 There is literally no image used for buttons, borders or shadows, all css3. 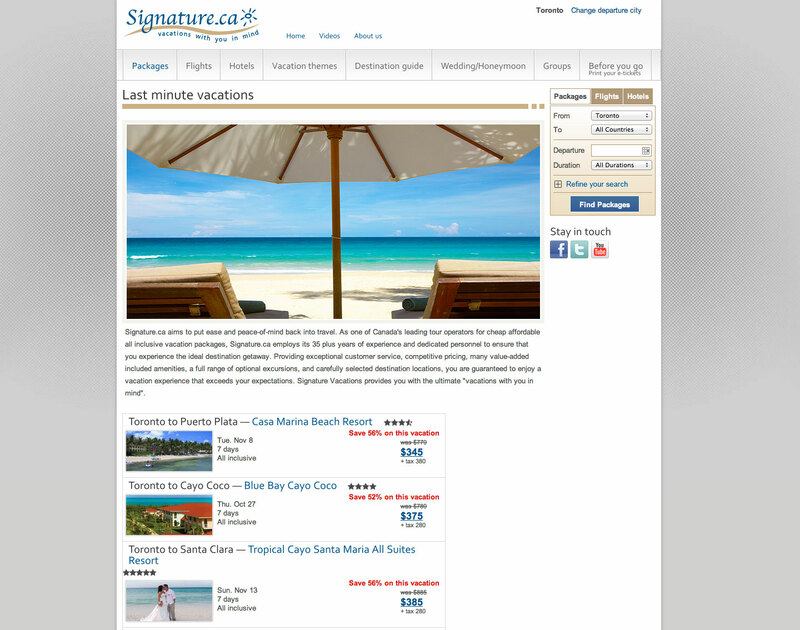 Works on all major web browsers Google Chrome, Firefox, Safari, Internet Explorer 7,8,9.